China battery aluminum foil suppliers manufacturing battery foil 1060 1100 1235 8021 with thickness of 0.012 ~ 0.035 mm for lithium ion battery collector materials. The typical battery foil product on the market are: 1235-H18, 1060-H18, 1070-H18. In the green new energy industry, battery aluminum foil do great effort on the energy saving and environmental protection. Battery aluminum foil is used as a current collector for lithium ion batteries. In general, the lithium ion battery industry uses rolled aluminum foil as a positive electrode current collector. The thickness of the battery aluminum foil varies from 10 to 50 microns. 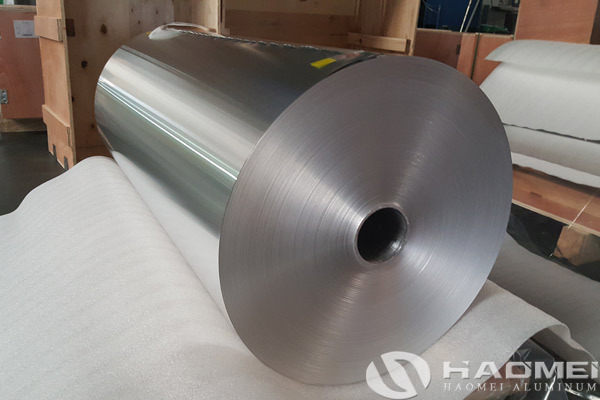 Commonly used lithium battery pure aluminum foil has 1060, 1050, 1145, 1235 and other alloy grades, with -O, H14, -H24, -H22, -H18 temper and so on. 5, The surface tension of the battery aluminum foil is not less than 32 dyne test by Dyne pen.